What Presentation Methods Can I Use For Presenting Success? Your choice of presentation methods says something about you. And, your choice of presentation method is influenced by all three. A well-practised presenter might choose to use PowerPoint or Keynote for their presentation. So they emphasise key points with some multimedia in their presentation’s slides. Their PowerPoint presentation is visually emphatic. And their slides are clear and consistent. Additionally, their organisation is ordered. And, because of this, their presentation is more effective. A less-practised presenter might use presentation software as a crutch. That’s because they don’t have a good knowledge of their material. So, they use the software to help them get by with their presentation. They might not know their material too well. Or, possibly they haven’t had much time to prepare, practise and rehearse. PowerPoint might help to give them security as it hides the gaps in their work. That’s the theory. However, most audiences can see through this. PowerPoint, Keynote Or An Alternative? Do you know your audience really well? So take inspiration. Try to break the bounds of PowerPoint or Keynote. It might possibly encourage you to try out newer presentation manager alternatives such as Prezi presentation software. There are some good alternatives to PowerPoint out there. So this list shows off the presentation features of more than 20 of them. Therefore, your choice of presentation methods reflects your earlier preparation and your research. 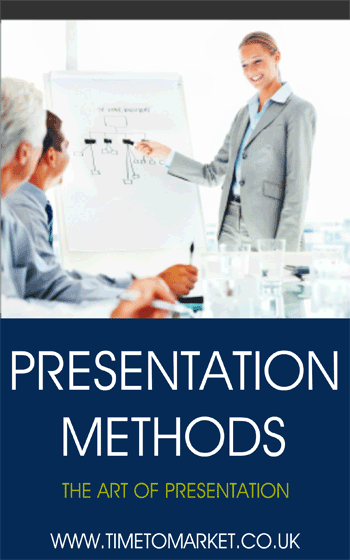 As a result, and more importantly, you will have more control over the presentation methods you use. What Presentation Methods Can You Use? You have a range of presentation mehods to choose from. You might use some as a crutch, but others will definitely boost your presentation performance. Take advantage of Keynote or PowerPoint For Mac. Try one of the many PowerPoint alternatives. Use props, a flipchart or whiteboard. You can learn more presentation skills and techniques on a public presentation training course. Because we organise our courses to a regular schedule, there’s something for everyone. Or, when you want a more intensive approach, then you can always try individualised presentation coaching. Whatever your approach, please don’t hesitate to get in touch when the time is right.